Among the many controversies that clouded the most famous trial in Pakistan’s history, the martial law regime’s brutal vitiation of the political atmosphere is often better remembered than the inner workings of the actual trial that led to the judicial execution of Pakistan’s first elected Prime Minister (PM). By transforming the country into a dark gulag of oppression amidst the severe political victimization of the Pakistan People’s Party (PPP), Pakistan’s democratic forces were put through unprecedented repression. As Chief Martial Law Administrator, General Zia was determined to be rid of PM Zulfikar Ali Bhutto, hence his actions after the imposition of martial law were designed to create the illusion of a civilian trial. At every step, independent observers — both international and local — were stunned at how the decks were systematically stacked against Bhutto. History cannot wash away the fact that blatant changes were made in the composition of the benches, nor has it been able to erase the way the case was investigated, and the lack of evidence presented over a span of two years. The prejudicial remarks made by General Zia even before the trial began, that ZA Bhutto was a murderer and would not escape punishment, were in themselves an open provocation to bias. Anywhere else in the world, the trial court would have taken notice of such a statement and investigated the premise motivating the trial that booked Mr Bhutto in a conspiracy for murder. The Court had already been enquiring into the matter, after a private complaint by Ahmad Reza Kasuri on the alleged conspiracy in the murder of his father by Zulfikar Ali Bhutto. The case was reopened on October 1, 1975, after the imposition of martial law. It is a matter of record, that while the fig-leaf of a civilian trial was duly maintained, all the investigations into Ahmad Kasuri’s father’s murder were carried out by Zia’s martial law investigators, and not by the police. On September 11, 1977, an incomplete challan was presented by the prosecution before a magistrate in Lahore against Bhutto, charging him of murder in 1974. No evidence could be presented, and no record suggested any links, except that Kasuri and Bhutto were political opponents. On the same day that the magistrate sent the challan to a Sessions Court, in highly unusual haste, the state sent an application to transfer the case to the Lahore High Court under Acting Chief Justice (CJ) Maulvi Mushtaq. While the bench headed by Justice Samdani had granted bail to Bhutto on September 13, 1977, he was still detained four days later with 10 colleagues from 70 Clifton in Karachi. It was no small coincidence, which Bhutto noted in his remarks on the blatant bias against him, that the CJ was also the Chief Election Commissioner. He was confirmed as Chief Justice of the Lahore High Court during the hearing of the trial, leaving no room for questions about the executive’s undue influence on the court. By transforming the country into a dark gulag of oppression amidst the severe political victimization of the Pakistan People’s Party (PPP), Pakistan’s democratic forces were put through unprecedented repression. Procedural flaws bogged the trial from its inception. The withdrawal of the case from the lower court to a higher court, for instance, was moved without hearing the accused or his counsel. Despite the fact that Bhutto had been released on bail by another bench of the High Court, he was arrested under a martial law order and produced before a full bench without a rescinding of the order of the other court. Despite repeated pleas against the blatant bias of some members of the bench, the transfer of the case to another court was not allowed. Once proceedings began, Bhutto was often disallowed from being present, while his right to record his statements when speaking in his own defence were denied. The judge would put his hand on the microphone to prevent the defendant’s remarks from being recorded. Later, a special microphone switch was installed which was turned on and off directly from the bench. Evidentiary documents against Bhutto were barely or rarely shared by the prosecution, and after he was barred from the trial proceedings and his applications to be heard were rejected, proceedings were ordered to be held in-camera in Lahore jail, on the premise that Bhutto had boycotted the trial. The fact that Bhutto was never tried by the Sessions Court, which would have been legally bound to follow the case law developed up to the time of the trial, which was ignored by the High Court, was itself a huge blot on the whole exercise. Although the judicial bias was evident in invoking Mr Bhutto’s personal character as well as other non-essential issues of no relevance to the case, the prosecution’s position pivoted on the false testimony given by Masood Mahmood, Director General of the Federal Security Force. He was held for two months ‘in custody’ to produce the relevant approver’s statement against Bhutto, while there were no eye-witnesses to the allegation that Mahmood had been ordered by the former PM to murder Kasuri. 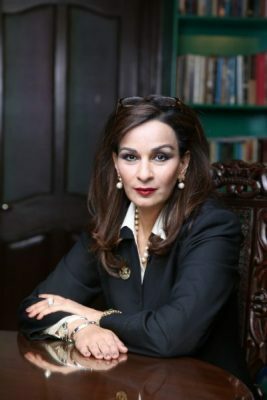 Later, in private conversations with the author and even in her book, ‘Daughter of the East,’ Benazir Bhutto would describe how the DC Larkana, Khalid Ahmad, for instance, had been tortured to attempt to extract a confession from him in the backdrop of graphically telecast floggings by PTV and arrests of PPP activists in the hundreds. Unlike many political prisoners who would come out of torture, dribbling and paralysed, but unbroken, Mahmood quickly made his choice in the face of state pressure. Independent observers noted that up to the time of the trial, there was absolutely no precedence of a conviction and sentence of capital punishment awarded on the testimony of an approver. After the judgement dated March 18, 1978, all four men accused with Mr Bhutto were sentenced to death. This was highly unusual, generally any accused who were allegedly abettors to murder were not given death sentences in Pakistan’s courts. Bhutto then took the appeal against his conviction to the Supreme Court. This appeal was heard for months before a bench of nine judges presided over by Chief Justice Anwar-ul-Haq, against whom an application of bias was also moved. Questions about Maulvi Mushtaq’s role in the High Court and later the Supreme Court’s divided verdict and the removal of Justice Qaiser Khan, who could have continued as ad hoc judge, were only some of the questions that clouded the verdict given on February 6, 1979. One of three dissenting judges, Ghulam Safdar Shah was subsequently hounded until he left the country. Dorab Patel, the other dissenting judge, said there was no case against Bhutto, and went on to fight rights abuses under the Zia regime as the founding chair of the Human Rights Commission of Pakistan (HRCP). All three, including Justice Halim expressed the view that the appeals of ZA Bhutto be allowed, that his sentence and conviction be set aside and that he be acquitted with his co-accused, Mian Mohammad Abbas and given his liberty. In his ‘Constitutional and Political History of Pakistan,’ Hamid Ali Khan said that by the verdict in Bhutto’s case, where they got rid of Zia’s arch-enemy, “The two Chief Justices, Anwar-ul-Haq and Maulvi Mushtaq, thought they were the benefactors of the regime and could get anything done.” They certainly did. Mushtaq packed the courts with obscure and pliable judges, while Haq was obliged by being made acting President when Zia went abroad. They had already indemnified Zia’s martial law in the famous Nusrat Bhutto case. Despite references to clemency by the Supreme Court in its judgement on the review petition, no mercy was shown by Zia. Every Muslim state, without exception, appealed for Bhutto’s life. Chinese and Soviet leaders telegraphed the same to Pakistan. From the Western world, Kurt Waldheim, Secretary General of the United Nations, President Jimmy Carter of the USA, Helmut Schmidt, Chancellor of West Germany, President Giscard d’Estaing of France, Prime Minister Trudeau of Canada, Prime Minister James Callaghan of the United Kingdom, all sent messages urging clemency. Zia knew that despite the split decision of the Court, the bench had unanimously recommended to commute the death sentence to life. No verdict split along four-three judges had ever resulted in a death penalty in Pakistan. “No executive government in judicial history had refused to accept the unanimous recommendation of the highest court of the land to commute the death sentence”, said Benazir Bhutto repeatedly. She was right. No one in the history of South Asia, let alone Pakistan, had been put to death for conspiracy to murder. In an anomaly of law, capital punishment was awarded under Section 109 of the Pakistan Penal Code. The decision rested solely with Zia. He didn’t want to let Bhutto survive as a thorn in his side. Yet he let it be known that he wanted to hear the former Prime Minister appeal. But Bhutto too gave no quarter. His famous remarks to his daughter, Benazir Bhutto, who later became twice-elected Prime Minister of Pakistan, were that he would rather die at the hands of a dictator and be remembered as a man who refused to plead for his life. “An innocent man does not appeal for mercy for a crime he did not commit” he said. One of Bhutto’s lawyers, Hafiz Lakho, accompanied by Amina Piracha, had tried desperately to submit another review petition in Karachi. Neither the registrar nor the judge was willing to accept the petition. In Sihala Police Camp, where Benazir and her mother, Nusrat Bhutto had been detained from February 12, 1979, Benazir was served with another detention order, restricting her for another fifteen days. The grounds for the extension was that she would “resort to further agitation as a final bid to secure the release of her father, posing a serious threat to peace and tranquillity and to the efficient conduct of Martial Law”. Down the road from Sihala, Zia’s minions began their attempts to break the courage of the most famous prisoner of Rawalpindi jail. The man who proudly wore a silk shirt and tailored suit to his trial, even after days of illness and solitary confinement. He was left with nothing in his cell, not even a bed to sleep on, days before his execution. Yet he did not relent. On April 4, 1979, Zulfikar Ali Bhutto was hanged at two in the morning at Rawalpindi Central Jail. The execution took place in the dead of night, against all jail manual rules. The regime wanted him buried before sunset, so that no political uprising could take place. Again, against all rules, no medical officer was present to certify the execution of the former PM, a point that was repeated in the reference. His body was flown from Chaklala airport at 4 AM, to be buried at Garhi Khuda Bux in Larkana, quickly and quietly in the presence of a few relatives and servants. Neither his wife, Nusrat Bhutto, nor his daughter, Benazir, were even informed in time to pay their last respects at the burial. 32 years later, in 2011, when the case was re-submitted as a presidential reference by President Asif Ali Zardari, under Article 186 (1 and 2) in 2011 before an 11-member bench headed by Chief Justice Iftikhar Chaudhry, Justice Jawad H. Khawaja remarked that it was amazing that an FIR was registered in 1974 and an incomplete charge sheet was submitted in 1977. Among many questions, the reference asked was how, never before in the judicial history of Pakistan, was a murder trial of an accused conducted by a high court in its original jurisdiction thereby denying the accused the right of appeal to the High Court. It was also pointed out that former Supreme Court CJ, Anwar-ul-Haq had given the benefit of the doubt to the Lahore High Court. When Maulvi Mushtaq had submitted an application to the police that in the event of his death, Bhutto was to be held responsible, the die had been cast. How could Bhutto expect a fair trial from a judge like Mushtaq, who had already declared his animus as a complainant against the under-trial prisoner? Despite Chief Justice Chaudhry’s ordering of the examination of the police record, no FIR or notes by the Investigating Officer against Bhutto could be found by the IG Police, Punjab. When the presidential reference was presented, the Attorney General of Pakistan, Maulvi Anwar-ul-Haq reminded the highest court that Zulfikar Ali Bhutto was hanged within 12 hours of the issuance of a black warrant against him. High Court rules say that no sentence can be implemented within seven days of the issuance of a black warrant. Despite Chief Justice Chaudhry’s ordering of the examination of the police record, no FIR or notes by the Investigating Officer against Bhutto could be found by the IG Police, Punjab. Chief Justice Chaudhry remarked “This case is of no ordinary man, but of Bhutto,” so they would be respectful in dealing with the presidential reference. The reference was invoked for answering key questions in the law, for the Bhutto family and the Pakistan People’s Party to bring to the highest judicial forum the criminal wrongs done to the first democratically elected PM of Pakistan. He lived and died to be remembered in history. Now it is up to history,to remind the world of the injustice done in his judicial murder. Published in Daily Times, April 4th 2018.